Domed cities are a well-known sf staple. But do we need to start planning them for use on Earth, due to climate change? Supposed benefits, in addition to protection from drastic climate change, include reduction of costs for extreme weather and shifted costs for climate control of buildings. 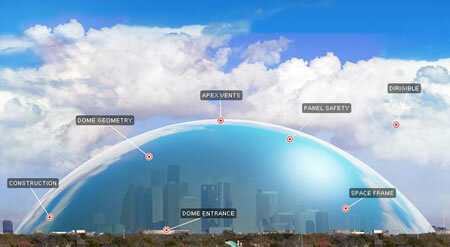 This picture is taken from a Discovery Channel program discussing the possibility of putting all of Houston, Texas under a protective dome. One will come into this place as one comes into a noble mansion. They will have flung great arches and domes of glass above the wider spaces of the town, the slender beauty of the perfect metal-work far overhead will be softened to a fairy-like unsubstantiality by the mild London air. Ordinarily, the idea of a domed city is usually applied to planets or moons with a really good reason for a dome - no air, for instance. 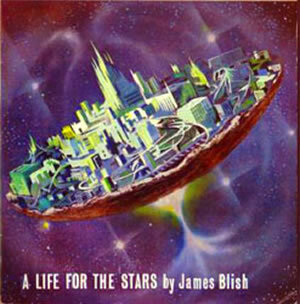 As far as I know, the first person to suggest using a clear dome to cover an entire lunar city was Ray Cummings in his 1931 story Brigands of the Moon. Read more about similar projects in a very nicely done article on Next Big Future.